39 people from Jasper visit Pfaffenweiler and inquire of their interest in forming a partnership. 41 people from Pfaffenweiler visit Jasper for official signing of partnership document. Mary Jo Meuser and Fritz Gutgsell with students. 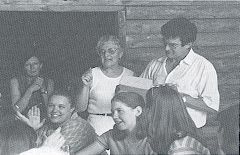 Mary Jo Meuser und Fritz Gutgsell mit studenten. 3 students from Pfaffenweiler attend Jasper High School for one month. 5 students from Jasper High School attend Staufen Gymnasium for one month. All of them stay in Pfaffenweiler. Jutta Eisenring from Staufen comes to Jasper for the school year. 23 students from Staufen Gymnasium, the high school near Pfaffenweiler, attend Jasper High School for one month - three are from Pfaffenweiler. Matthias Hilger of Pfaffenweiler begins training at Indiana Desk Company in Jasper. 19 students from Jasper High School attend Staufen Gymnasium for one month - three stay in Pfaffenweiler. 52 people from Pfaffenweiler Batzenberger Winzerkapelle (brass band) attend/perform at Jasper Strassenfest . Sonja Hueppe from Pfaffenweiler comes to Jasper for the school year. Sister Cities of Jasper receives award of merit from Gov. Robert D. Orr. Justin Vaughn of Jasper goes to Germany for the school year. Voelker Boehm comes to Jasper for the school year. About 90 people from Jasper visit Pfaffenweiler to attend the Schneckenfest (Snail Festival) and participate in official dedication of Partnership Stone. Christine Gutgsell of Pfaffenweiler becomes the first of three girls to work as au pairs for Kris and Steve Dills of Jasper. Ester Kotterer of Pfaffenweiler lives with the Dills for six months in the winter of 1989-90, and Karin Ludwig from Hartheim lives with them during the summer of 1991. Clemens Hueppe of Pfaffenweiler begins training at Kimball Electronics in Jasper. 21 students from Staufen Gymnasium attend Jasper High School for one month - three are from Pfaffenweiler. 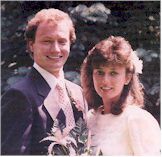 Matthias Hilger of Pfaffenweiler weds Kathy Kunkel of Jasper. Priscilla Fischer comes to Jasper for the school year. First delivery of Pfaffenweiler wine -- 1200 bottles of Mueller- Thurgau and Rulander -- made to Jasper for sale in Buehler supermarkets. Martina and Claude Eckert with the help of Martha Rasche, write a diary of the first five years of this Partnership. Miriam Steible of Pfaffenweiler begins six months of working as a nanny for Bob and Sherrie Reeves in Jasper. Esther Scholz spends the semester at Jasper High School. 20 Students from Staufen Gymnasium attend Jasper High School for one month - seven are from Pfaffenweiler. Darren Patterson participates in work exchange program in Germany ; after his internship ends, he lives in Pfaffenweiler for three weeks. 20 Students from Jasper High School attend Staufen Gymnasium for one month- seven stay in Pfaffenweiler. Jasper-Pfaffenweiler Partnership leads to Celestine- Wagshurst connection. 23 Students from Jasper High School attend Staufen Gymnasium for one month- six stay in Pfaffenweiler. 24 Students from Jasper High School attend Staufen Gymnasium for one month - six stay in Pfaffenweiler. 80 people from Pfaffenweiler attend Jasper Strassenfest and participate in dedication of Partnership Stone in front of Jasper City Hall . 20 Students from Staufen Gymnasium attend Jasper High School for one month - nine are from Pfaffenweiler. 15 Students from Jasper High School attend Staufen Gymnasium for one month - nine stay in Pfaffenweiler. About 45 People from Jasper visit Pfaffenweiler to attend the Steibickfest (Stone Quarry Festival) to celebrate the tenth anniversary of the Jasper-Pfaffenweiler partnership. Alexandra Eckerle of Pfaffenweiler begins working for Stens Corporation in Jasper. Verena Frey of Pfaffenweiler arrives in Jasper through an agriculture exchange program; she works in the floral department at Buehler's Buy-Low. SDR, one German Public Television selects the Pfaffenweiler resident emigration of 1847 to Jasper story/history for a national documentary program. The 30-minute film is produced and filmed in Pfaffenweiler. 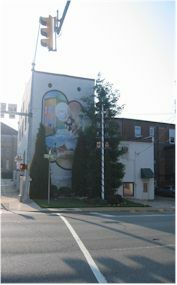 German Public Television provides an English language version of the film to Sister Cities of Jasper in exchange for the English text of the original film and two chairs from Jasper Seating. Matthias Hilger begins writing bi-weekly columns about Pfaffenweiler for The Herald, the Dubois County daily newspaper. 30 Students from Staufen Gymnasium attend Jasper High School for one month - seven are from Pfaffenweiler. Jasper Partnership Commission formed. Its primary objective is to provide a central point for Sister City-related activities and to strengthen communications with Pfaffenweiler. The Herald begins sending its issues each week to Pfaffenweiler. Yvonne Michel of Pfaffenweiler begins job-shadowing at Jasper Memorial Hospital . 28 Students from Jasper High School attend Staufen Gymnasium for one month - seven stay in Pfaffenweiler. 13 people from Pfaffenweiler attend Jasper Strassenfest to commemorate the 150-year anniversary of Pfaffenweiler residents' immigration to Jasper. Simone Hoferer comes to Jasper from Pfaffenweiler to begin training at Jasper Furniture, a division of Kimball International. Members of the Jasper German Club and other area residents who speak German begin holding monthly " Stammtisch " ("Table for the Regulars") at the Schnitzelbank Restaurant. The Pfaffenweiler newsletter, S'Gmeiblaettle (Community Paper), begins arriving in Jasper each week via e-mail. 51 people, including stone carvers and alpine horn group, from Pfaffenweiler attend Jasper Strassenfest. 21 Students from Staufen Gymnasium attend Jasper High School for one month- five are from Pfaffenweiler. 18 students from Jasper High School attend Staufen Gymnasium for one month - five stay in Pfaffenweiler. Jasper contingent travels to Pfaffenweiler to celebrate 15th anniversary of Partnership.